I enjoy shooting photos on the boat-ride tour at The Land. 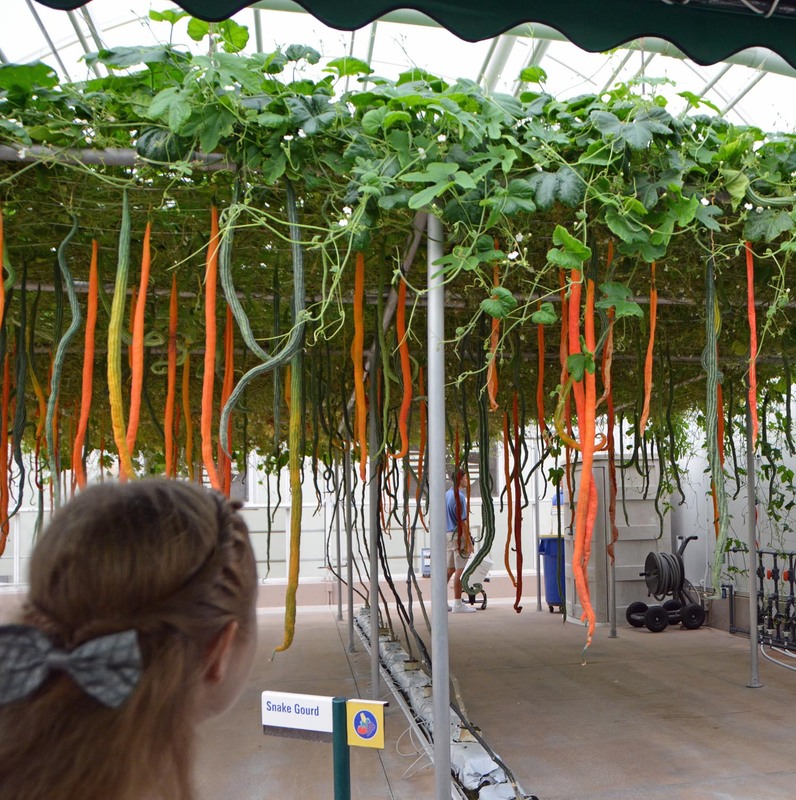 We were at the Epcot International Food & Wine Festival on Nov. 1, 2015, when I got this shot of Allison looking at Snake Gourds being grown at the facility. We were at Walt Disney World for a day trip that also included the first night of this last season at Disney of the Osborne Family Spectacle of Dancing Lights on the Streets of America area of Disney’s Hollywood Studios. © Chuck Curry and A Gator in Naples, 2015.